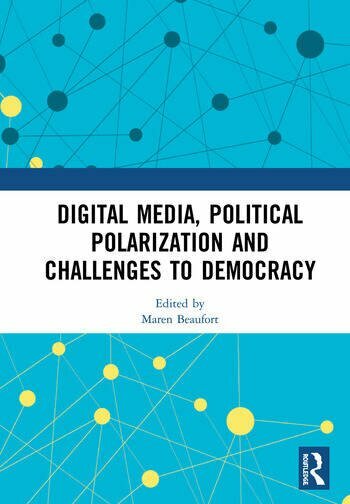 This book assesses the interplay between social media, political polarization, and civic engagement, focusing on countries with differing media environments, cultural specifics, and degrees of democratization. Taken from a variety of disciplinary perspectives and based on innovative theoretical interventions and empirically grounded research, the contributions to this volume share a common aspiration to understand the democratic character of the new, and thus far largely unknown, media regime. Such a regime has the potential to both enhance and undermine democracy, in a time where the vulnerability of democracy is more obvious than ever before. Featuring research from the USA, Western Europe, the Middle East, and East Asia, this book will be of interest to those studying recent political events in these regions, as well as to those scholars of media studies whose research focuses on the inter-relation of politics, communication and the media. This book was originally published as a special issue of Information, Communication & Society. Maren Beaufort is a scientist in the Institute for Comparative Media and Communication Studies at the Austrian Academy of Sciences and the Alpen-Adria-University, Austria. Her research interests include social media, political participation, media effects, media quality, and media literacy. She participates in the European Commission's ‘Media Pluralism Monitor’.